On A Roll - pop in your pocket or in a poo bag dispenser and just tear of as and when required. Please note on the roll as you take them off they do look smaller due to the way they are folded to fit on the roll, open them up to reveal their true size. * Listening to the needs of our customers we decided to take up this poo bag challenge. This is the biggest bag you will get with tie handles on a roll, after months and months of testing, working with different bag dimensions both in width and length then trying to fit on a nice little dispenser roll this is our end result. Maybe not the perfect bag but I can assure everyone this is the biggest bag that can be made that will fit on a dispenser roll. 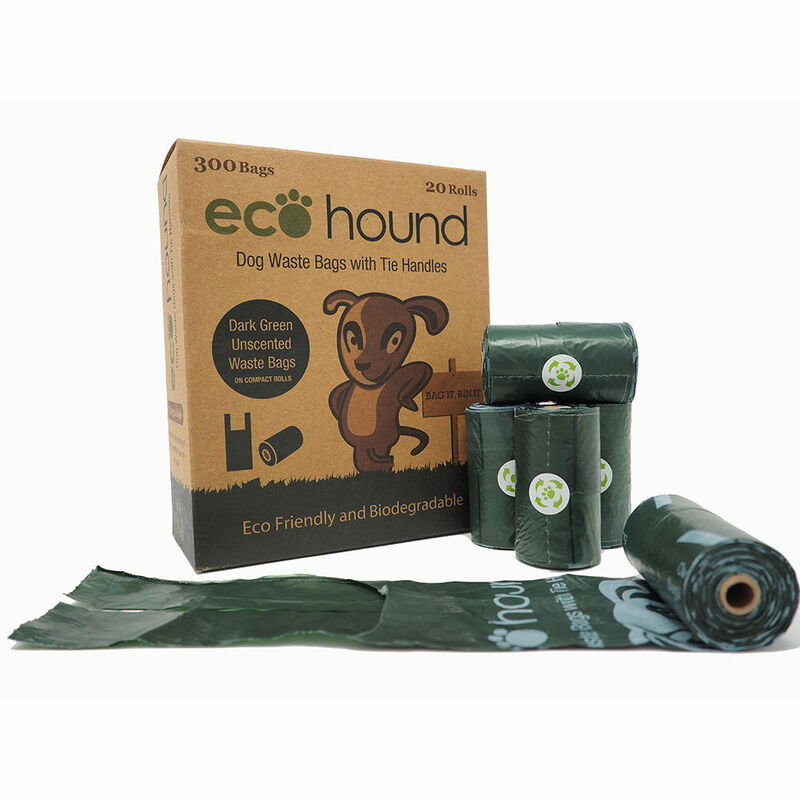 REDUCE YOUR CARBON PAW PRINT: Ecohound biodegradable dog waste bags, an eco friendly choice in bags. Made from approx. 20% renewable materials. 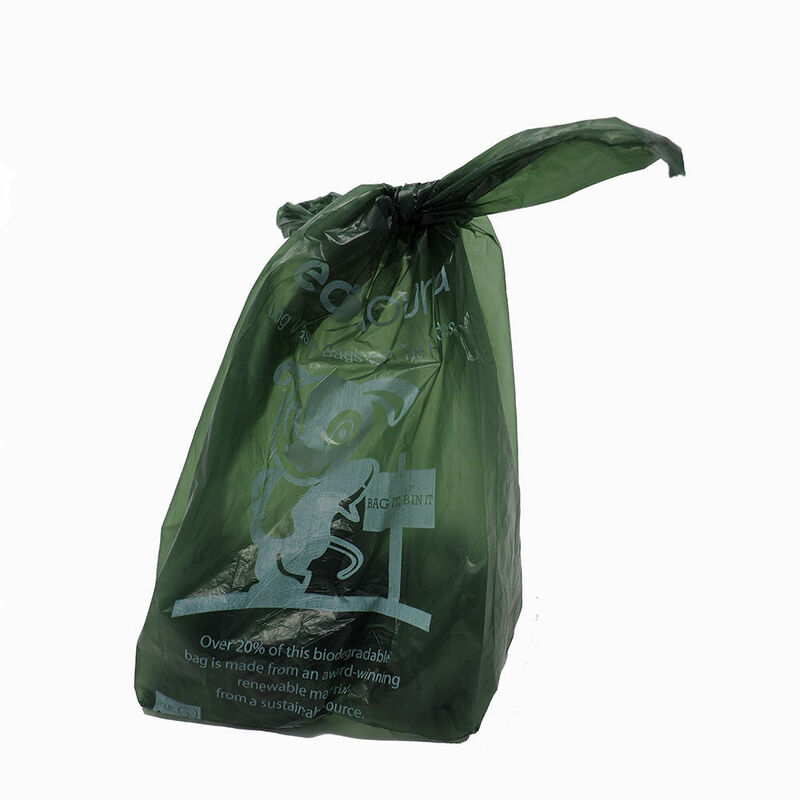 Be kind to the environment and use exo biodegradable poop scoop bags to clear up your dogs mess. These Quality biodegradable Vest Type Poop Scoop bags on a roll with easy to tie handles are just what both you and your dog need.